Australia’s Teeth are Unhealthy – Are Yours? 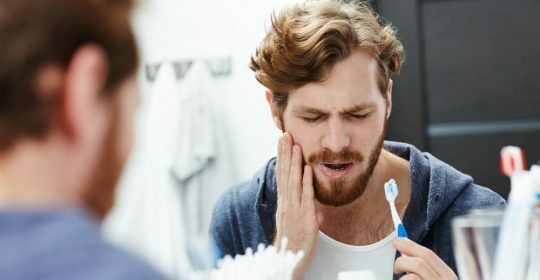 In 2018, the Australian Dental Association (ADA) and the Australian Health Policy Collaboration (AHPC) reported that 90 percent of Australians have experienced decay in their teeth. Australia’s teeth are unhealthy and the ADA is on a mission to improve oral health in young people and adults by 2025. Find out what to watch out for and how to take better care of your teeth. In comparison to other countries, Australia is falling behind in oral health. The ADA and AHPC released the 2018 report card with concerning findings. But how are we to change an entire nation’s way of thinking? Where do we even start? What you put in your body can affect your overall health. These types of foods and habits can link to other chronic diseases like heart disease, diabetes and obesity. To avoid problems with your health, start by cutting down on unhealthy foods and drinks. Oral health is at the forefront of good healthcare. But with so much advice online on how best to care for your teeth – what is the BEST routine for you? We’ve cleared some confusion with a simple and handy guide. Try to cut down smoking, or avoid it completely if possible – need help quitting? Contact your dentist today. Your situation may vary. If this is the case we urge you to consult a dentist and determine the best oral health plan for you. Karalee Family Dental is a trusted local practice located near Karana Downs and East Ipswich. If you have any questions regarding the best oral health plan for you, contact us today. I didn’t realize that over 1/3rd of 5 and 6-year-olds have decay in their baby teeth or that 51% of Australian citizens brush their teeth once a day or less. This explains why there are so many dentists in my new area. We’ll start looking into a dentist that can help us improve our dental health so my family doesn’t add to those statistics. I thought it was really interesting how the article says that sugar, alcohol, smoking, and carbohydrates can lead to poor oral health. My family and I have been looking for a dentist to fix and clean all of our teeth. It may be hard to get my family to stay away from stuff that contains sugar, but finding a good dentist will help us keep our teeth healthy.